From funny names to your favourite tv or movie characters, naming your chickens is half the fun. I spent several days trying to think up clever names for my gang, but never really hit the mark. 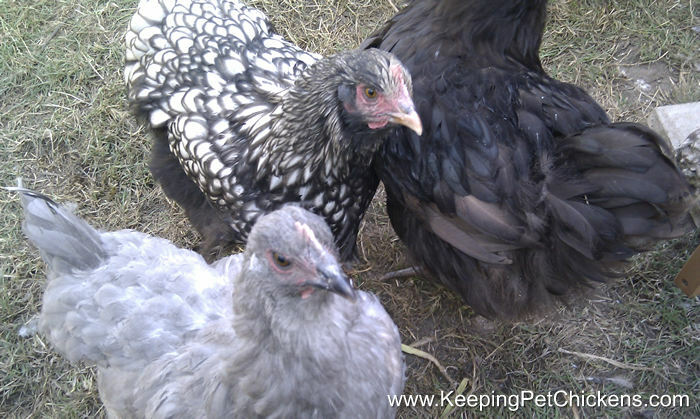 One of mine is a silver laced Orpington so (of course) I called her Lacey, and I was quite pleased with myself to call her lavender sister Cagney. Favourite chocolate bars, movie stars, tv characters – it all became too much. I wanted names that were amusing, but also suited my flock, and the more I got to know their individual personalities the harder I found it to come up with good names. I ended up going for quite plain names, but still hanker after things like ‘Chook Norris’ for a rooster and ‘Atilla the hen’ for the queen of the flock (who currently is Lacey but she was already named … you see my problem). after all I am bound to get some more. Is the Rhode Island Red A Good Layer?